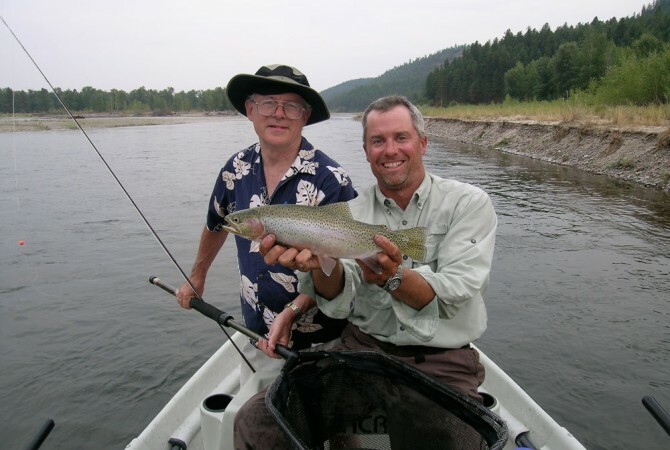 The Clark Fork River is one of the rivers Tom Jenni learned to flyfish on and is still one of his favorites. 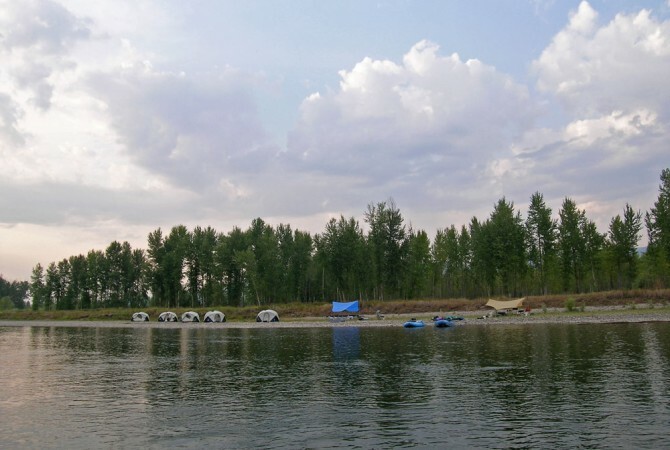 The lower Clark Fork is big, mostly flat water, connected by relatively short riffles, and one big whitewater canyon. 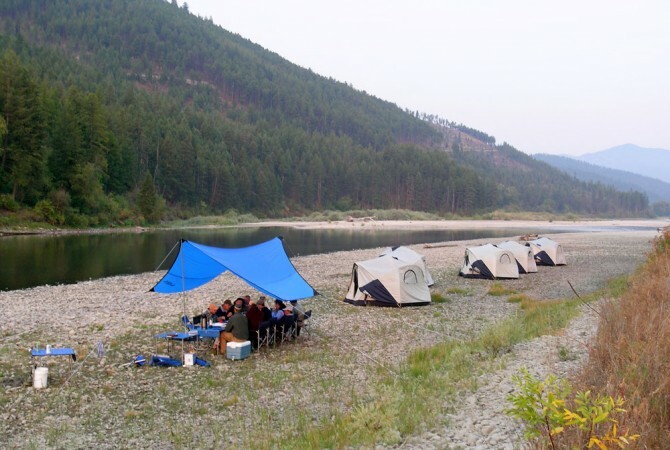 From Missoula downstream there is enough water and scenery (trout too!) 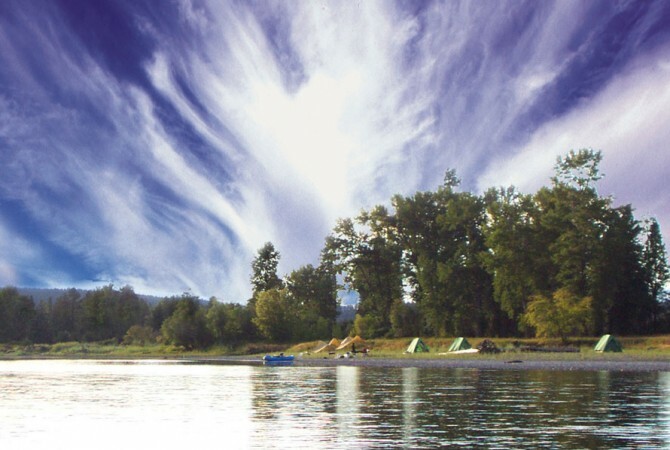 to create a week long vacation, and never fish the same water twice. 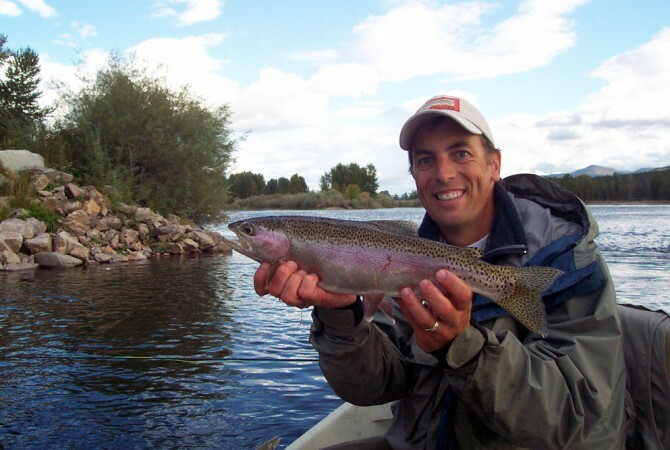 The fish count in the lower Clark Fork sounds low compared to many of the state’s better known fisheries but the rainbows and increasingly the cutthroat trout provide outstanding and consistent dry fly fishing. The fish tend to be in pods so there are long relatively fishless stretches; this is another river where it really helps to have a guide, even for the very experienced fisherman. Early in the season, starting in March, there can be good stonefly hatches with both skwalas and nemouras. 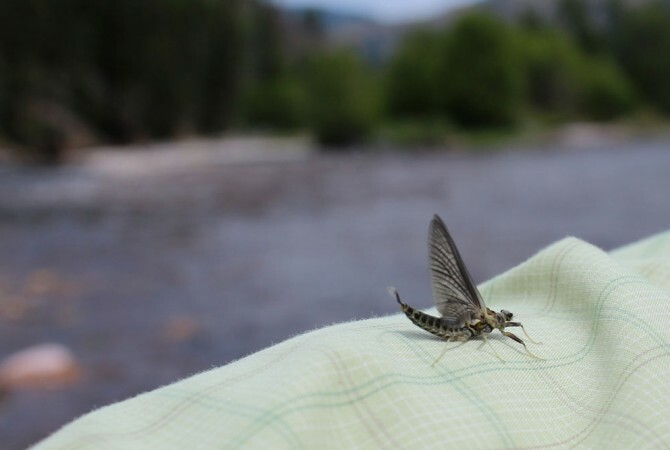 From the first blue-wing olives of the year there are usually some mayflies hatching on the river all the way into October, and caddis flies play another important roll, particularly in the evenings as summer progresses. 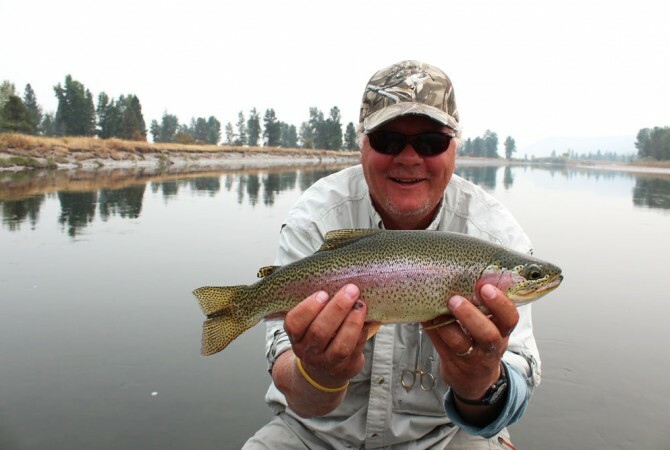 The hard fighting rainbows and cutthroat in this river will often fall for hoppers or juicy attractors or they may require a little more technical skill during the incredible trico hatches of August.